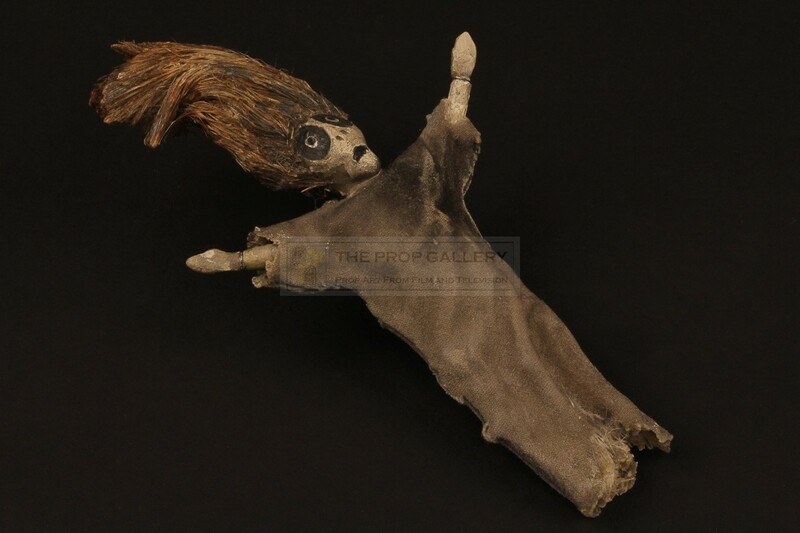 An original prop used in the production of The Nightmare Before Christmas, the 1993 stop motion animation favourite directed by Henry Selick and produced by Tim Burton. 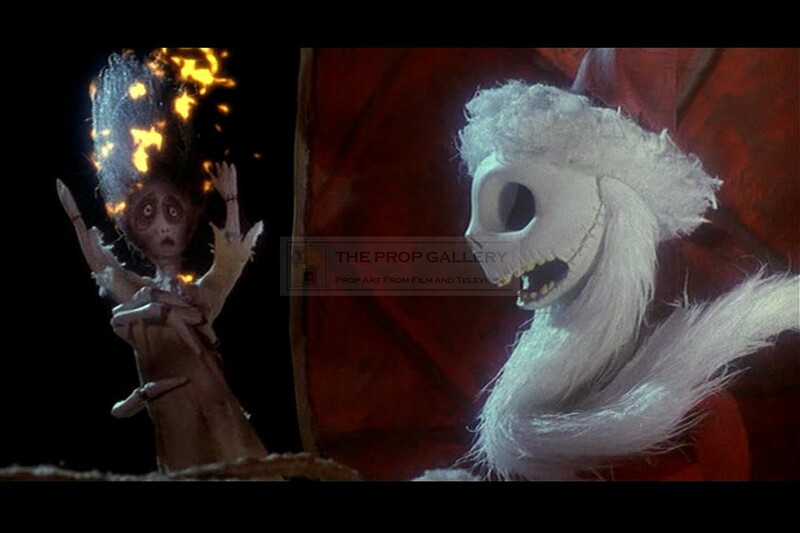 This style of doll can be seen used in the climactic scenes of the movie as Jack Skellington comes under fire aboard his sleigh and in the graveyard signifying the end of Christmas as Jack sings his song. 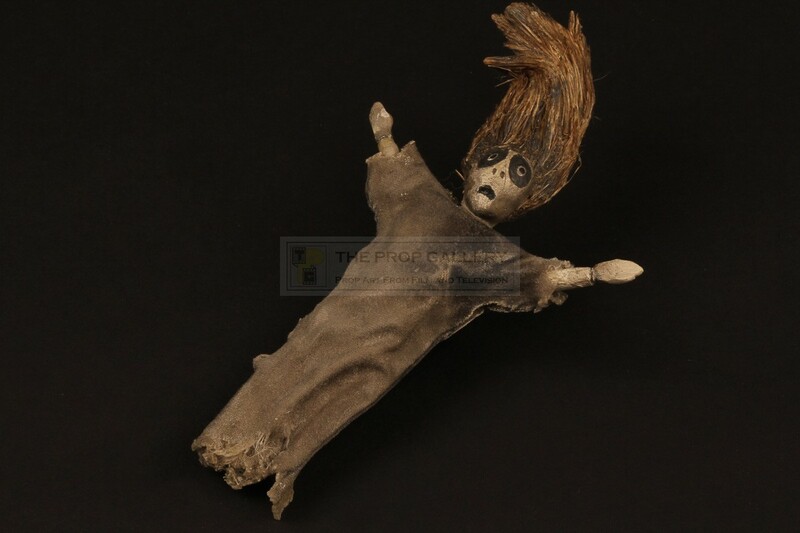 The doll is constructed from resin with a hardened material body and straw hair, to the interior is a lead weight with a hole to the back which could be used rig the miniature for filming, this particular example is not seen on screen in the final cut of the movie. 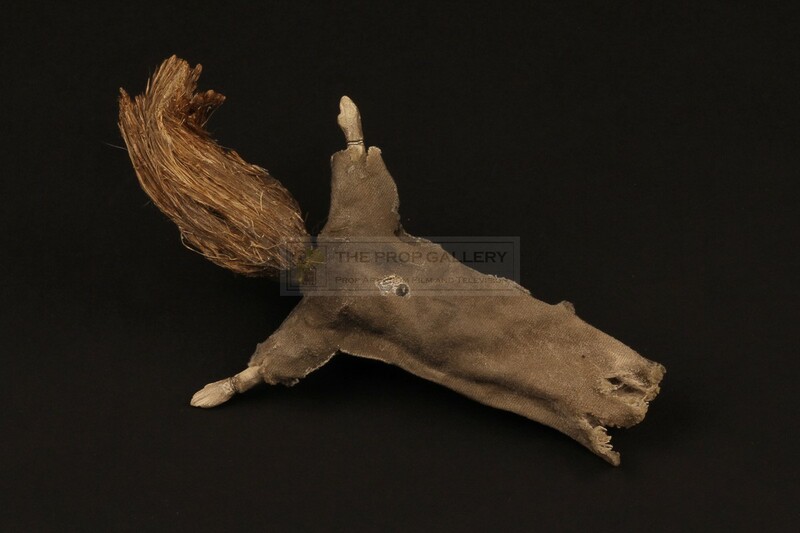 A highly displayable artefact from this highly regarded stop motion animation classic.